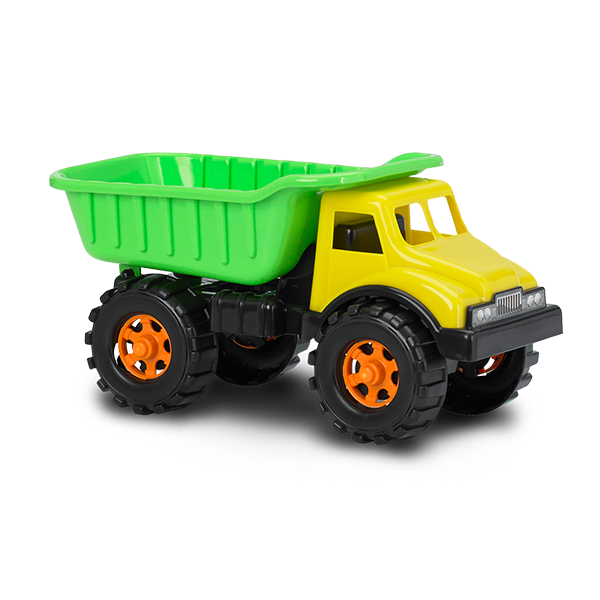 16" DUMP TRUCK | American Plastic Toys Inc. This truck is ready for the rough work of hauling the big loads. It has a dump bed that pivots on the chassis and a color-coordinated cab interior. With knobby wheels ready to roll over any terrain, it’s sure to be a hit! Packed in a colorful “Dump Display” box.